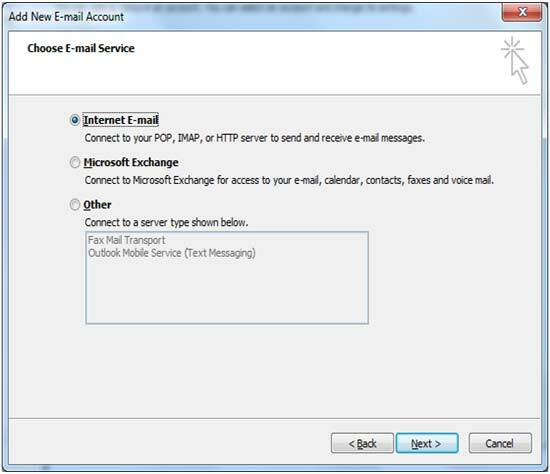 Please follow the steps below for configuring gmail in outlook 2007. The same procedure applies for Google Apps configuration. 1. 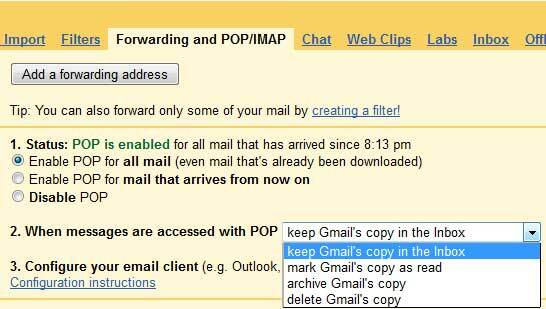 To begin with, first you need to enable POP access in your gmail account. 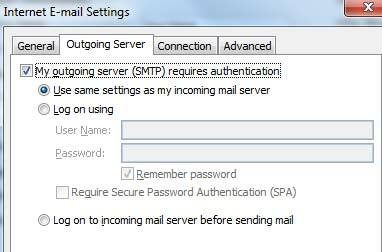 Go to MAIL SETTINGS and select the "Forwarding and POP/IMAP" tab. In the "POP Download" section, select 1st or 2nd option in the point 1. 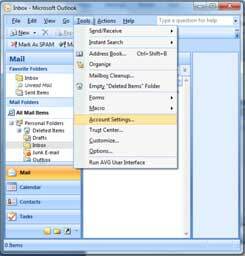 In the point 2, select one of the first two options in the drop down (Do not select the option "delete Gmail's copy" since it will delete the mails in Gmail inbox and you will have copy only in outlook). Save the settings. 2. 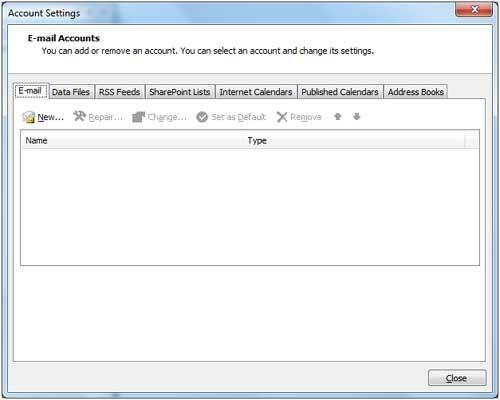 Now go to your outlook, in the Tools menu select the Account Settings. 3. In the next window, click the option New under Email Tab. 4. 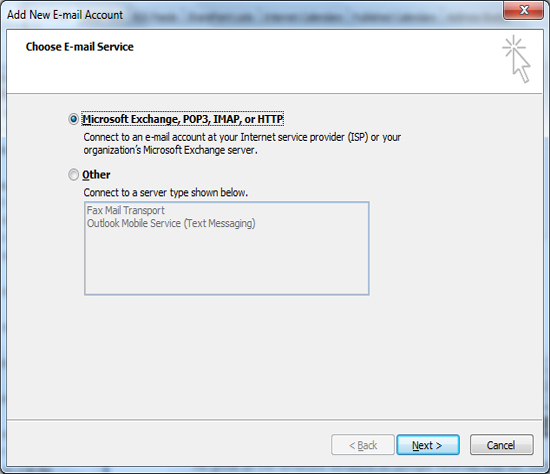 In the next window, select the first option 'Microsoft Exchange, POP3, IMAP, or HTTP' and click next. Fill your Name, Email Id and the Password. Select the accout type POP3. Now click on the More Settings in the bottom left corner. 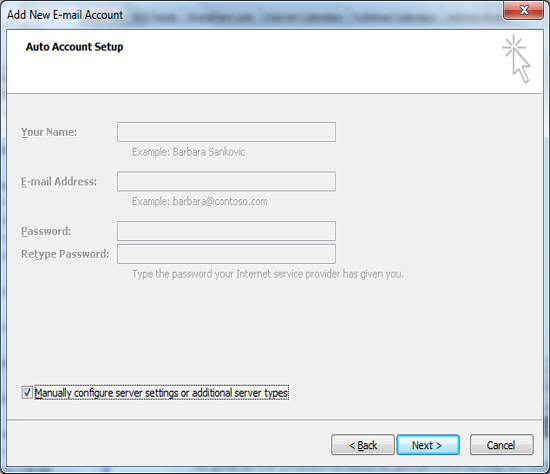 In the new window go to Outgoing Server and select the check box as as shown below. 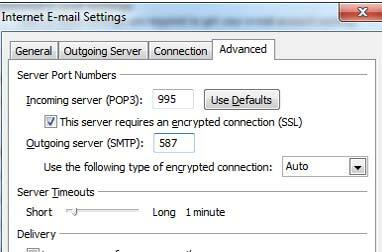 Encrypted Connection: Select Auto from the drop down. You can also select TLS if you face any problem. Now click OK, NEXT and FINISH the settings. 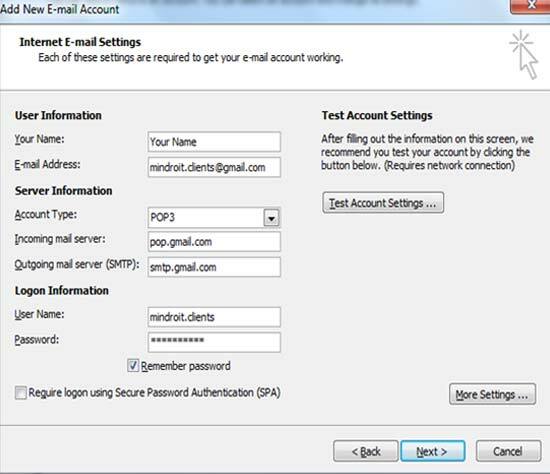 Now your Gmail is ready to use in outlook !! !